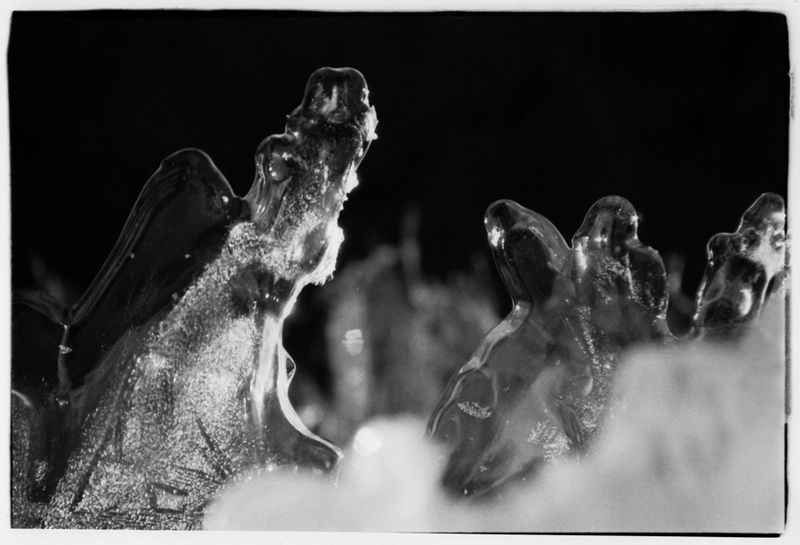 These images were taken with a Nikon FE film camera (a great camera) and scanned from prints I made in a darkroom. 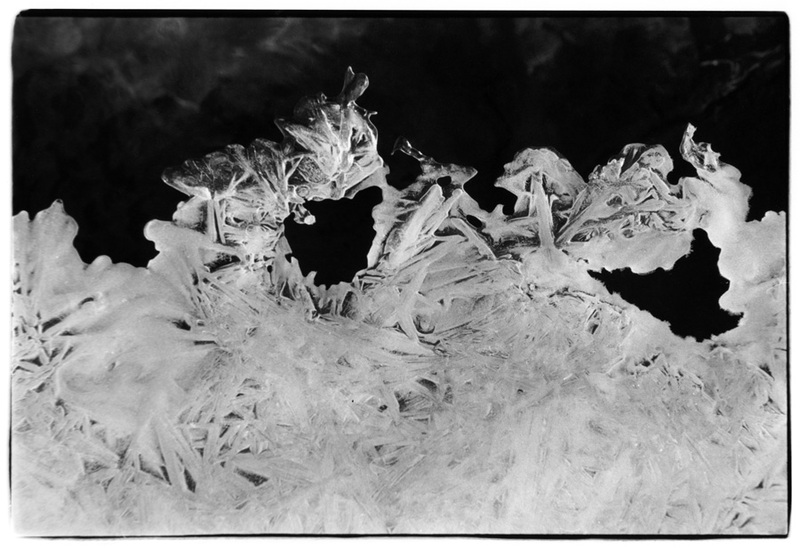 I still fantasize about setting up a darkroom at home. Very lovely! Wish I saw more art of natural ice. I hope your fantasy will come true Karen.. lovely work. I like the sculptural shapes and relationships, particularly in the first two photos. Oh I was wondering if anyone would notice the changes, I’m happy you like it! Karen! What stunning work; you the ordinary into extraordinary. I agree with Alicia – the last image looks like a dragon/dog, seemingly howling at the moon… and the 2nd last – like a row of fir trees. Trying to interpret these images makes them extra special. I was thinking that too, a winged dragon. Thanks Marina! Oh Karen – I omitted a word in my comment: you *turn* the ordinary into extraordinary 🙂 A winged dragon – exactly! See, there’s mythology in your images too. Nice shots! I love the details! 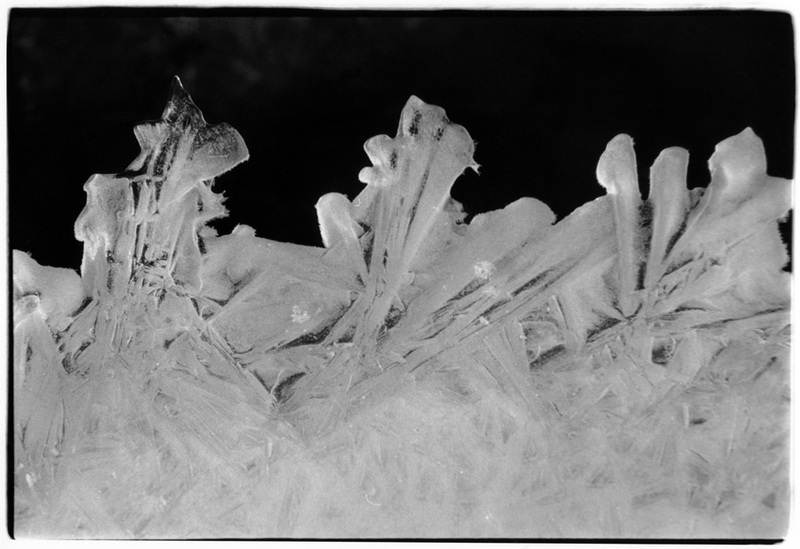 Ice is one of the many things that nature creates that vary so much from example to example, and makes great subjects for photos. Cheers! 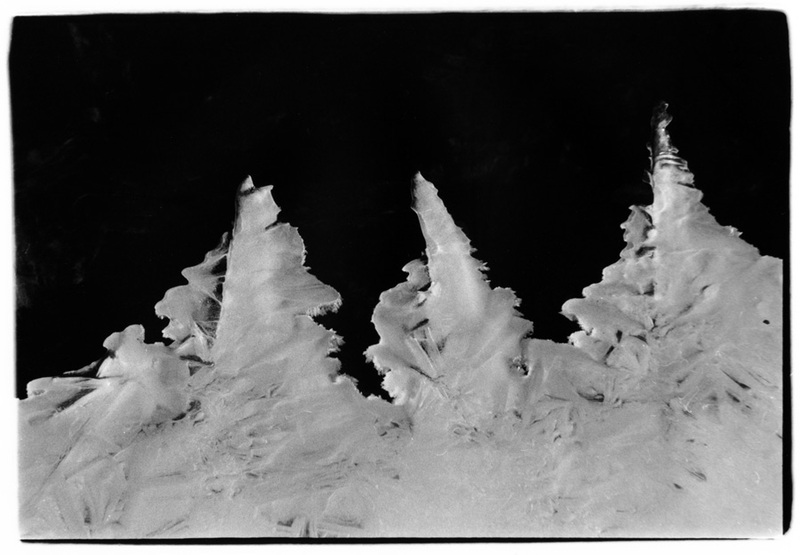 Little forests of ice – very nice. I like these a lot. Yummy black amd white. Really thoughtful and well realized work, Karen. The second frame is especially stunning. And a thoughtful comment from you, thank you James. Beautiful, as usual! These patterns really highlight, for me, how incredibly complex and wonderful nature is. Nature is stunning isn’t it? Great closeups! The ice crystals are beautiful! The many forms that ice take is amazing to me. thank you. You have me transfixed. I found your blog from FP and went through all the posts! Great choice, beautiful photos! these photos make me tear up. absolutely beautifully touching.